Welcome to the Damask Divas’ Scaredy Cat Blog Hop!! Blog hops are a lot of fun and a great way to find inspiration! Just click on the link at the bottom of my post to take you to the next consultant to see how she has used the Scaredy Cat Paper Packet! If you happen to get lost along the way there is a complete list of participants on the Damask Divas’ Blog. This month I made a card using the Scaredy Cat Paper Packet that was inspired by this card from Nichol Spohr Magouirk. I started with a Kraft Cardstock base followed by two filmstrips cut in Black Cardstock using the Artbooking Cricut® Cartridge. 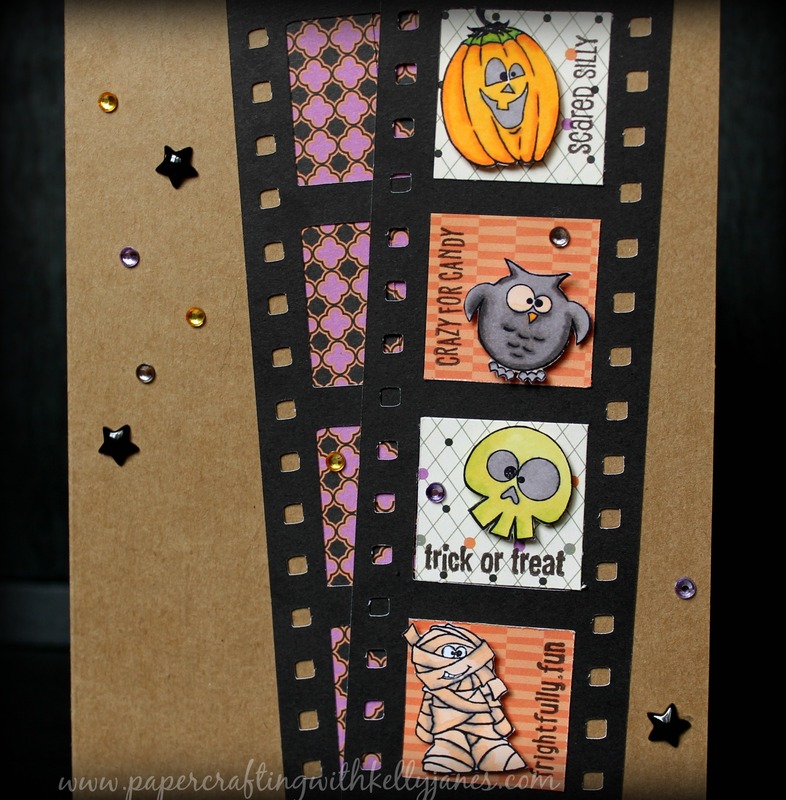 I used the Scaredy Cat Paper Packet to fill in the filmstrips and the Frightfully Fun Stamp Set for all the images and text. The fun Halloween images were stamped in Archival Black Exclusive Ink™ and then colored using the ShinHan™ Touch Twin™ Markers. I then used 3D Foam Tape to pop the images off the card and added the Halloween slogans in CTMH Black Exclusive Ink™. Now onto the bling…. The sparkles are from the CTMH Clear Sparkle Assortment. Now I just said clear sparkles but did you notice my sparkles are gray, orange, and purple?!? The ShinHan™ Touch Twin™ Markers are made for more than just coloring paper! Just take the tip of the marker to your sparkles, sequins, ribbons and color! BOOM! You now have a custom colored embellishment! 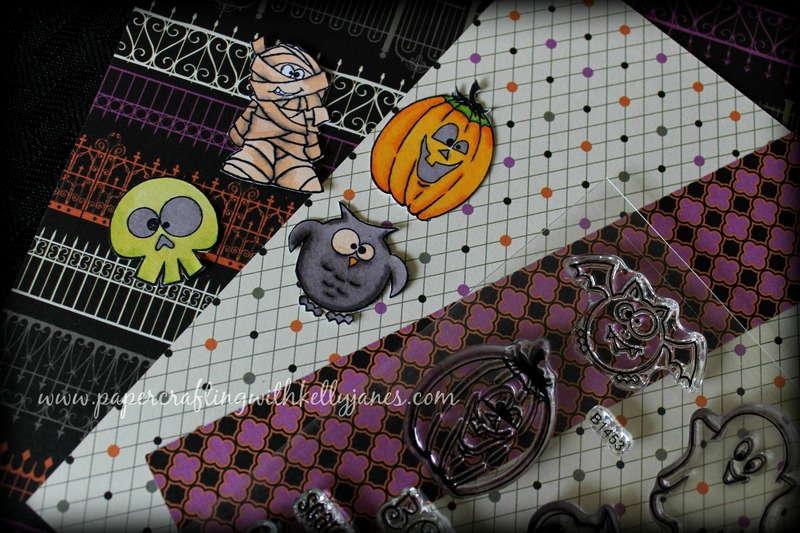 Those adorable black resin stars are from the Scaredy Cat Assortment. I hope you’ve found inspiration on my blog! Now head on over to Amie Kiger’s blog to see what she has made with this fun paper packet! BUT BEFORE YOU GO CHECK OUT THE SEPTEMBER SPECIALS! 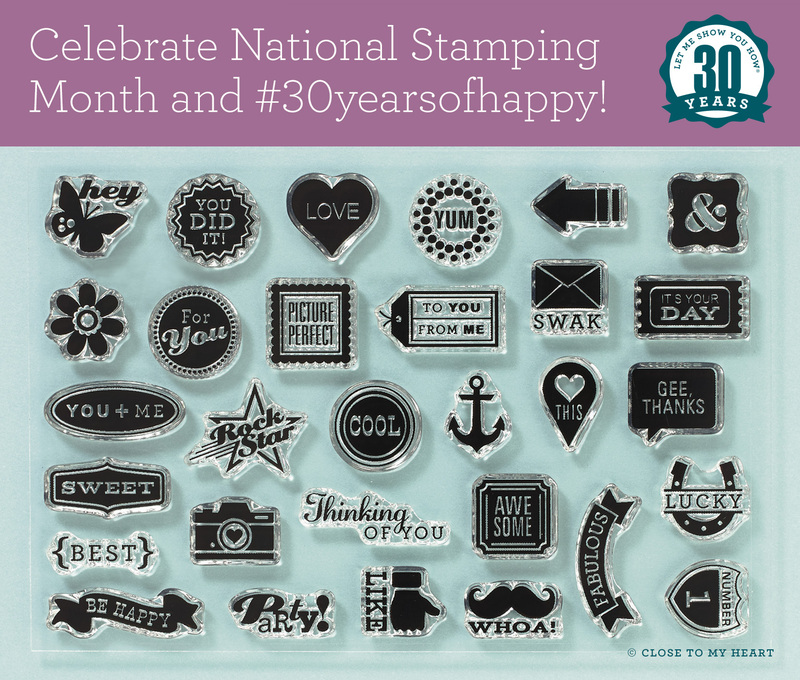 Spend $30 on stamps the month of September and get this #30yearsofhappy Stamp Set FREE!!! That’s a $13.95 value!! September’s Stamp of the Month, Family Is Forever, is a set of 7 images and is only available until September 31! Great card. Love how you changed the colors on the bling and used the markers. Such a cute card Kelly. Thanks for tip about the clear bling and the markers. Thats a great idea. I LOVE this!!! I’m gonna lift it to make a card for my nieces and nephews….they would love it, too! Great ideas!! Super cute and creative card. Love it! This is just spooktacular!! So stellar…great project, amazing details and terrific workmanship!